This week we’re going to take a side step from pure development into DevOps work. We’re going to look at Continuous Integration (also known as CI). This week’s topic isn’t necessarily .NET Core specific, but those of us who want our applications to be taken more seriously should really be looking into CI. As such, this week we’ll use a Web Service called AppVeyor to facilitate CI for our .NET Core repositories. But first, a little software Engineering theory. Before CI was codified, each developer who was working on a code base would integrate their changes (think of this as merging) with the changes from other developers on an infrequent basis. Think back to your first group project as a young developer (maybe this was at school): Everyone came together to get an understanding of the basic design of the project and get a list of their tasks. After which, everyone would go away and write the code that they were tasked with. and it would be someone’s job to take the individual lumps of code and merge them together into some semblance of a rational code base. We all did it, so there’s no point in lying to me. This is the opposite of CI: there’s no common repository that everyone is committing code to and you cannot guarantee that the code you’re working on is in sync with the code everyone else is working on. This is a very basic description of what CI is, for a more detailed description go read the Wikipedia article or head to the source: Grady Booch’s Object Oriented Analysis and Design with Applications 2nd Edition. we can make use of CI systems which give us console access to a containerised system or a virtual machine. One such system is AppVeyor. Before we continue, AppVeyor is a paid service with a free tier specifically for Open Source projects. I’ve been using the free tier, since all of my .NET Core development is open source, but the pricing structure that they have seems pretty fair. 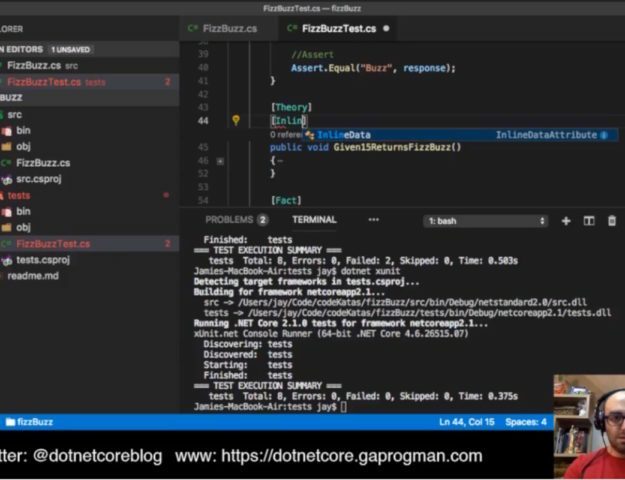 But there are a few caveats I fell prey to along the way, so let’s take a look at a worked example of how to set up AppVeyor with a .NET Core code base and how to get AppVeyor to do it’s thing. I’m going to skip past creating an account, since that’s pretty cookie cutter stuff. Suffice to say, I OAuth’d using my GitHub account, since that’s where all my open source repos are. Hovering over the repository you wish you use, click on the “Add” button that will appear (shown in the above screenshot). Now that we have the project set up, we need to add an appveyor.yml to the repository. This file informs AppVeyor of the steps required to build the project. We could use the AppVeyor UI to set up the build pipeline, but I like to have things checked into source control. That way, if the AppVeyor project ever gets wiped (or has an issue), restoring it is extremely simple. There’s a caveat here, in that we can create the yml file and commit it into source control, but AppVeyor settings provided via the UI exist separate to the yml file. By this I mean that the changes made to the settings in the AppVeyor UI will be stored as part of the AppVeyor project and not in source control. If AppVeyor detects a file in the root of your repository called appveyor.yml, it will parse the file and use that as it’s pipeline settings; otherwise, it will rely on us setting everything up in the UI. Since we’re going to take the appveyor.yml route, if we need to change the build script, we’ll need to push a change into the repository. Which, as we’ll see in a moment, will cause a build to happen. you did clone a repository down, right? It’s pretty well commented, but let’s take a look at this file’s contents in chunks. which branches to use, and what to do in the init stage. The image property in the AppVeyor settings file tells AppVeyor which system image to use when building your repository. The software installed on these images is updated on a semi-regular basis, so it’s best to check the AppVeyor documentation for Build Environments and the Platform Updates pages to see what software is installed on which image. The first thing we do here is echo which version of the .NET Core SDK we have access to. This is for debugging purposes and can be removed if you don’t care too much about it, but it could prove helpful if we target higher a version of the SDK than is installed on the chosen image. Then we restore all packages, but do it with the minimal output; otherwise the screen will fill up with the output of the restore action. We’re (currently) not bothered about any after build actions, but we could use this to create and seed our database (or run any other commands related to our application’s initial set up) if we wanted. Here we’re telling AppVeyor that we want to take everything from the publish directory, create a zip file (WebDeployPackage) called WebSite and upload it to AppVeyor’s cloud storage. Here we’re telling AppVeyor’s git client to only clone the current branch and no history. We don’t need any of the history to build the application, so this will speed up the clone slightly. This, in turn, will make the whole build time faster. Here is where we’re running our Unit Tests. We first restore all packages related to testing, then change into the tests directory (which contains the unit test code). 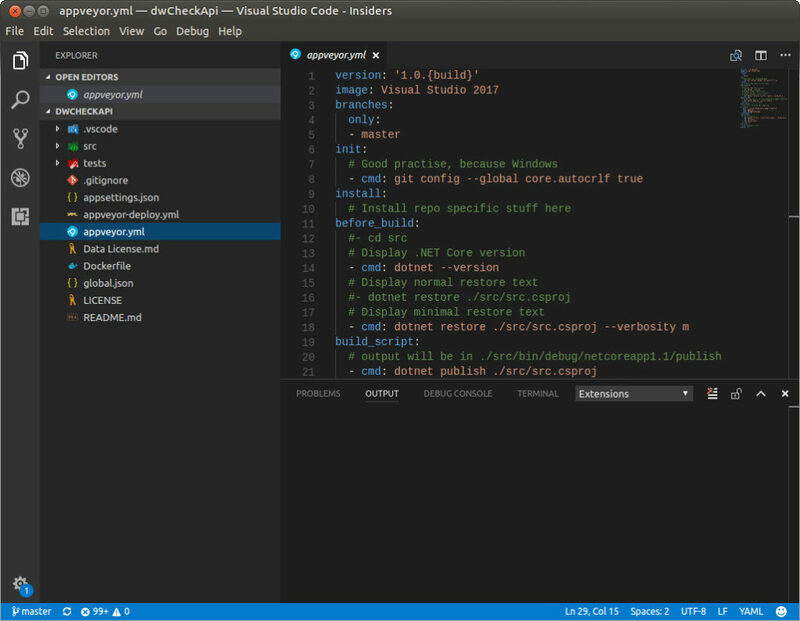 Then we run xunit, as the unit tests I’ve written for this repository are xunit.NET tests. These are the final few steps in our pipeline, and they’re mostly empty. But we’re also telling AppVeyor not to deploy out application after successful builds. We’re about ready to commit the yml file to source control – which we’ll do in a moment. But first, let’s take a look at what’s about to happen when we do. GitHub will then look for any web hooks set up on the repository, for each web hook it sends an announcement message. This message tells the application(s) at those endpoints that an update action has happened (a push, merge or similar). In the case of AppVeyor when the webhook fires, the build settings (either via an appveyor.yml file or those supplied in the UI) are then used to clone the relevant content of the repository. in our yml earlier, we told AppVeyor to only build if the change was made to the master branch. Once the latest version of the repository has been cloned, the before_build, build_script and after_build actions are run. The test_script stage is then run, all unit tests within this step will be performed and further steps will be cancelled if the tests fail. After that the artifacts stage is run, this takes the output of our build script and packages it up, ready for deployment. The yellow bar indicates that a build or deploy action is in progress. a green bar indicates that a build or deploy action has completed; and a red bar means something in the build or deploy action failed or raised errors. In the above screenshot, I’ve left an earlier (successful) build visible. Clicking on the project title will take you to the build output screen. This screen shows you the output of the current build. 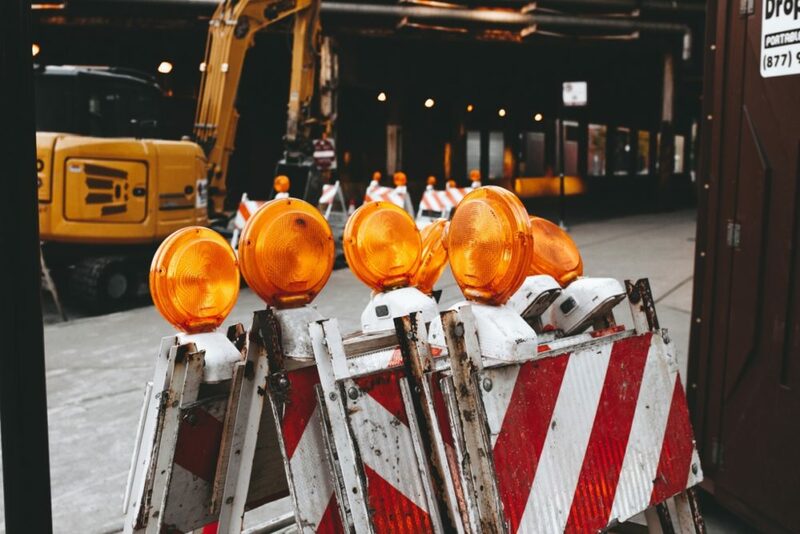 This information can be incredibly useful for debugging the build or deploy pipeline, so I’d recommend that you familiarise yourself with how to access it. The Artifacts tab displays a list of the artifacts that were created as part of the build or deploy action. as with most computer science things it’s spelt the American way, but I shan’t grumble. The contents of this tab will be made up of the artifacts we outlined in the artifacts section – as you might expect. Clicking on the name of the artifact will download the zip file, so that you can test it locally. AppVeyor allows you to brag about your build status via badges. These are dynamically created images which you can embed into your repository’s readme file. Once there, you’ll need to click on the Badges option. You can now add the badge link into your repositories readme and the users will see the current build status of your repo whenever they browse to it. Any time that we push a change to the master branch, our AppVeyor project will clone the latest code, build a publish version of our application, run our automated unit tests on it, and package it up for deployment. That’s pretty impressive for a half hour of work, and a free service, right? AppVeyor will take care of Continuous Delivery (CD) for us too, but we’ll take care of that in a later blog post. When we do implement CD, we’ll create a separate yml file and use that to deploy to our production environment. 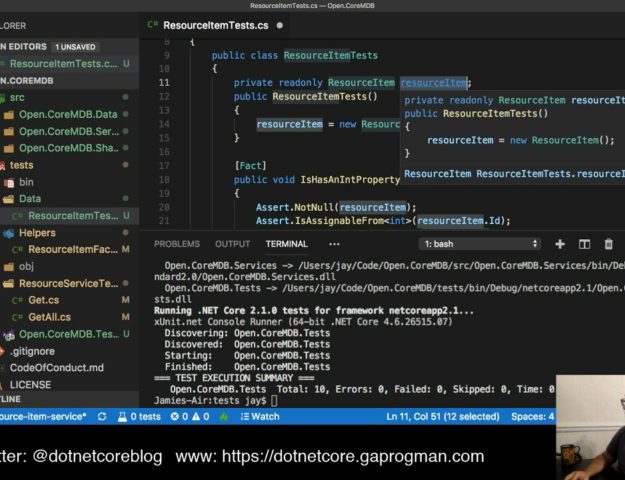 What About .NET Core 2.0 preview1? 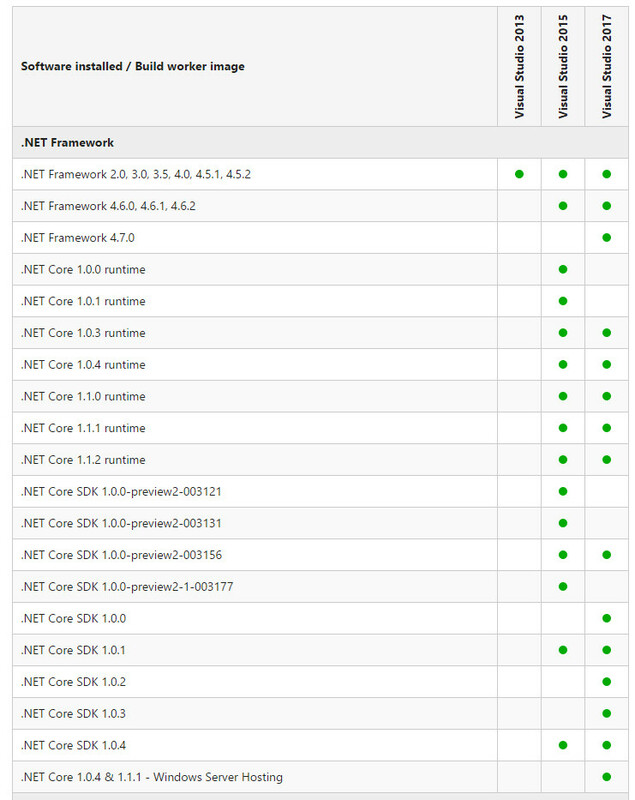 To add .NET Core 2.0 preview1 support, all that’s required is that we install it during the install phase. - ps: $urlCurrent = "https://download.microsoft.com/download/0/6/5/0656B047-5F2F-4281-A851-F30776F8616D/dotnet-dev-win-x64.2.0.0-preview1-005977.zip"
The above code comes directly from a few of the official ASP.NET Core repositories, and is correct at the time of writing this blog post. I’ve no doubt that, once .NET Core 2.0 is out of preview and has been released as a full RTM, AppVeyor will add it to the relevant images. We’ve seen how AppVeyor can be used to provide our code repositories with Continuous Integration, how it can be configured using an appveyor.yml file, and how these automated builds and tests will happen whenever a commit is made to the master branch. 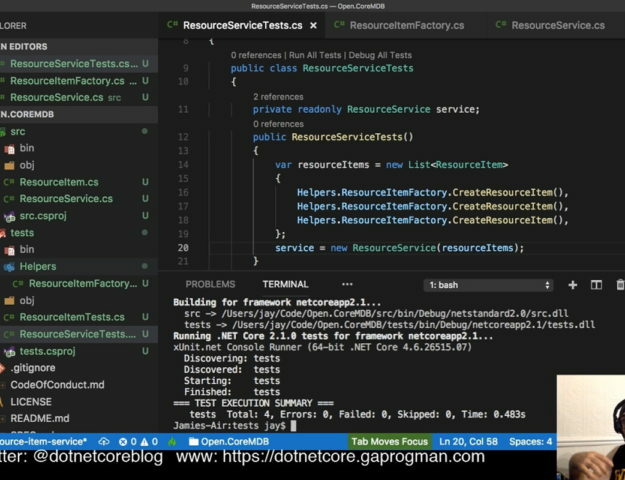 We’ve also seen how we can configure the AppVeyor build and test pipeline – even including .NET Core 2.0 preview1 if we want it. 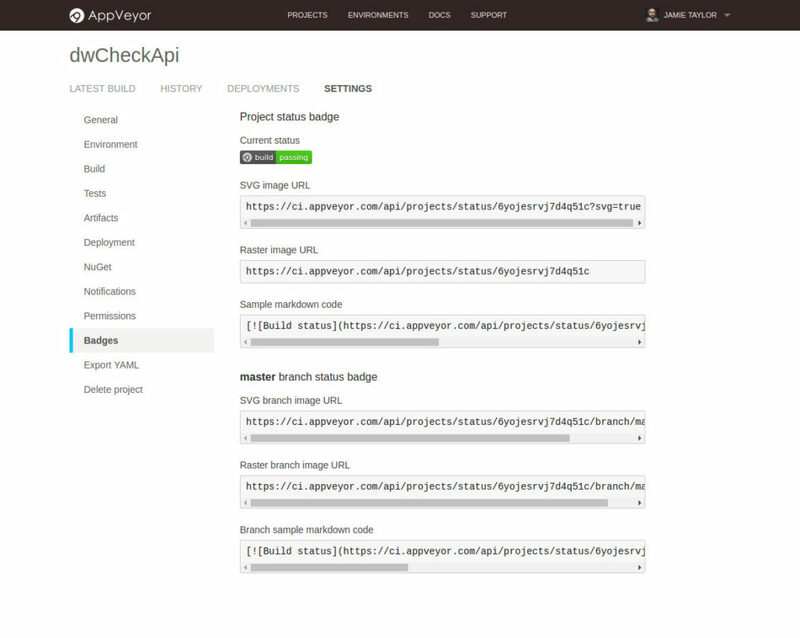 Have you used AppVeyor or a similar CI tool chain? If not, why not? Let me know in the comments below.